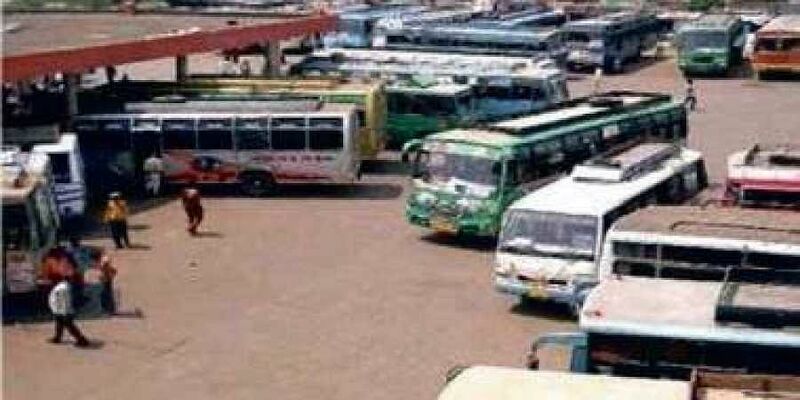 In view of the festive season, the fares of private buses plying on several routes connecting the district to other parts of the country have gone up by about 200 per cent. NELLORE: In view of the festive season, the fares of private buses plying on several routes connecting the district to other parts of the country have gone up by about 200 per cent. The operators are not complying with norms and allowing large number of passengers beyond the capacity of buses, which can lead to any untoward incident. The prices were hiked for buses on various routes such as Nellore - Bengaluru, Nellore -Hyderabad, Nellore - Visakhapatnam. When TNIE visited private ticket booking points near Vijayamahal Gate on mini bypass road, it was found that AC sleeper bus fares from Nellore to Hyderabad had gone up to Rs 1,500 to Rs 1,700 against the normal fare of Rs 900. Same is the case with fares of Nellore- Bengaluru buses. AC fares for them have gone up to Rs 2,500 as against the normal fare of Rs 1,300 and non-AC was hiked to Rs 900 as against the normal Rs 500. High price “I usually prefer train. But, as I have not booked my ticket early, I need to go by bus and the ticket price is enormously high,” Vijay, a professional from Tada Special Economic Zone (SEZ), said. Due to the festival, students, private sector employees, and others are visiting their home towns in several parts of the country. They are finding it difficult to pay excessive high prices but, do not have any alternative. Commuters are complaining against the scarcity of buses as the buses run by APSRTC are plying full. “Due to festivals, traffic on several routes is high. Ticket fares have gone up because of high demand. The new fares are not affecting travelling population. After the festival, everything will be normal,” an employee from the booking centre said. DTC promises action N Sivaramprasad, Deputy Transport Commissioner of Nellore, said that they would take stern action if private bus operators are found collecting extra money for tickets. The companies cannot collect extra amounts toward tickets, he said.